Reader copy. Sold by the charity langdon supporting men and women with disabilities dispatched within 1 working day. Very Good. 12mo-over 6¾"-7¾" tall colour illus laminated bds. colour illus. 29pp. 5mm closed tear to bottom spine end. Very Good. "An original Laurent de Brunhoff book"--Cover. 40 p. Intended for a juvenile audience. Very Good. Celesteville becomes a very exciting place when a friendly ghost follows Pom, Flora, Alexander and Arthur home from the haunted Black Castle. 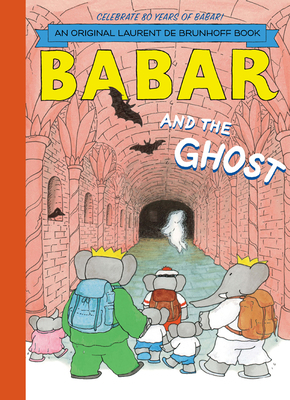 A "Babar" classic. Illustrations. Sewn binding. Cloth over boards. 40 p. Contains: Illustrations. Intended for a juvenile audience. Fair. 0394879082 Ships from Tennessee, usually the same or next day.